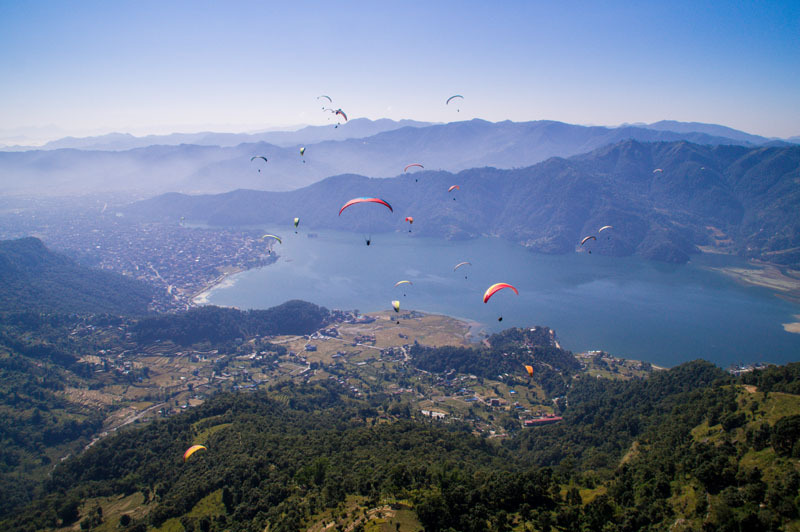 If you don't FLY with us, it means you haven't FLIED at all..
We take off from Sarangkot and thermal above the valley, soar along pristine ridges of trees, over villages. You often hear shouts from below as people stare with wonder at these bird-people circling above them. This flight allows you to get a taste of the exploration side of flying. Each day provides slightly different conditions, decease and even throughout the day it is changing, medicine so routes change accordingly. There is the possibility of soaring along the long ridge leading down the valley past Fewa Lake, prostate with the Annapurna range to your right. Other days we cross the valley and soar directly at these stunning 6,000 m + peaks. We will return and land near the lake where a jeep will be waiting to take us back to our office in Lakeside. See what our world class acro pilots can do with a wing as you loop, troche spin and spiral through the air. Performing maneuvers called "Helicopter", buy cialis "SAT", physician "Back-fly", "Tumble" and "Wingover". This flight will leave you breathless yet and an amazing experience of a lifetime. Don't miss out on any adventure.